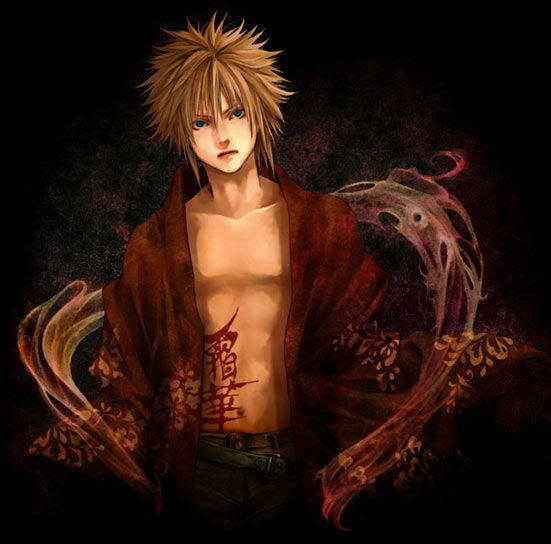 Appearance: Bann’s costume is very simple and easy he wears black long pants with a open red shirt with markings on it he has a tattoo on his right side he wears his shirt open mostly he has a purple, blue eyes, Bann has spiky brown, blonde hair. Bann stand 5’7 and weighs roughly about 58kg he is a relatively small guy he isnt one much on muscular looks but he has a strong soul, body and mind. Tattoo's/scars: Tattoo of the Letters S.T.A.L.K.E.R on his left and right for arms. The red symbol in the picture above. Personality: Bann can be a very sick, twisted and demented person. Bann tends to get very violent and do very horrific things to people when angered. Bann can sometimes become a very psychotic monster of a person when his Inner Hollow released. Bann normally is a very kind and sweet boy, he is not one to kill he tries to not kill or let go and become a killer from his inner hollow. Bann tries to contain it and succeeds mostly anytime it comes out the only time it can come out is if something horrific or bad happens to someone he loves or is close to. Zanpakuto Looks: a huge monstrous thing it reaches out 86 inches it is a blade incapable of being held at the hip or strapped along the back. Due to its sheer size it needs to be carried but Bann uses his body to store the blade inside of him to call upon at any time instantly. 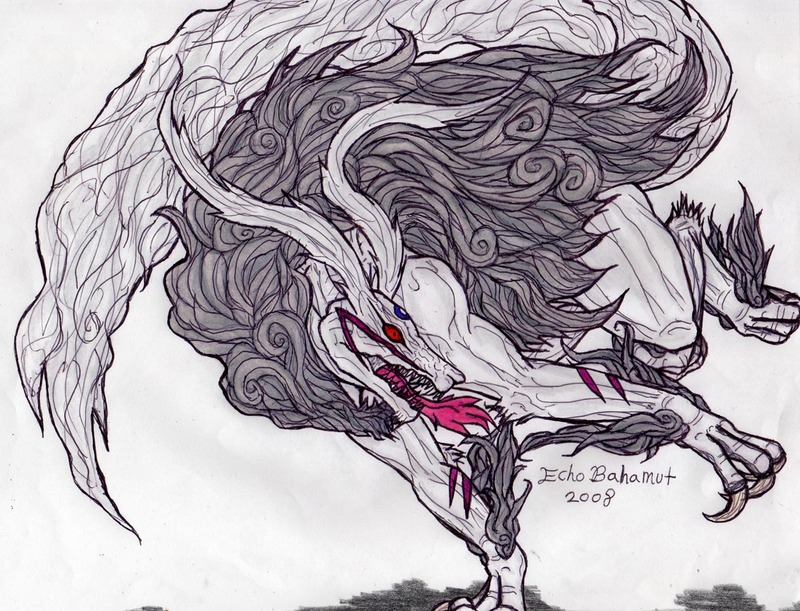 Zanpakuto Description: can be hidden inside of Bann’s body and returns to him instantly after being taken away eg. The sword is thrown off a cliff it will reappear in his hand if about a second due to its seal that Bann placed on it when he got it. Released Zanpakuto Description: Highly increased damage and on release everything within a 200 meter radius is burned and electrocuted. Zanpakuto Release Phrase: Sesshomaru Rise and FIGHT!!! 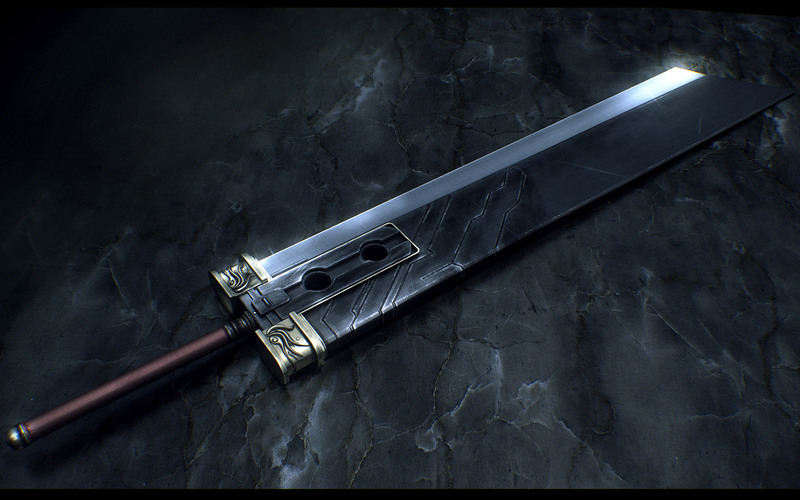 Released Zanpakuto Looks: http://fc07.deviantart.com/fs28/f/2008/132/f/1/Buster_sword_by_Wen_JR.jpg becomes a massive Buster sword its power is only dependent on how powerful Bann is at the time he releases it. 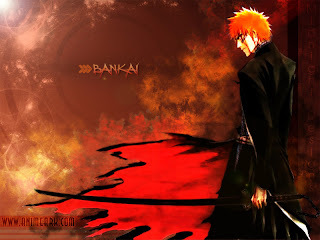 Bankai Description: When Bann is about to use his Bankai he holds his released Zanpakuto out infront of him with his left hand infront of his face. He will close his eyes and say the word “BANKAI!” After saying Bankai fire and lightning surrounds the area as a large pillar of fire and lightning spiral into the air surrounding Bann. 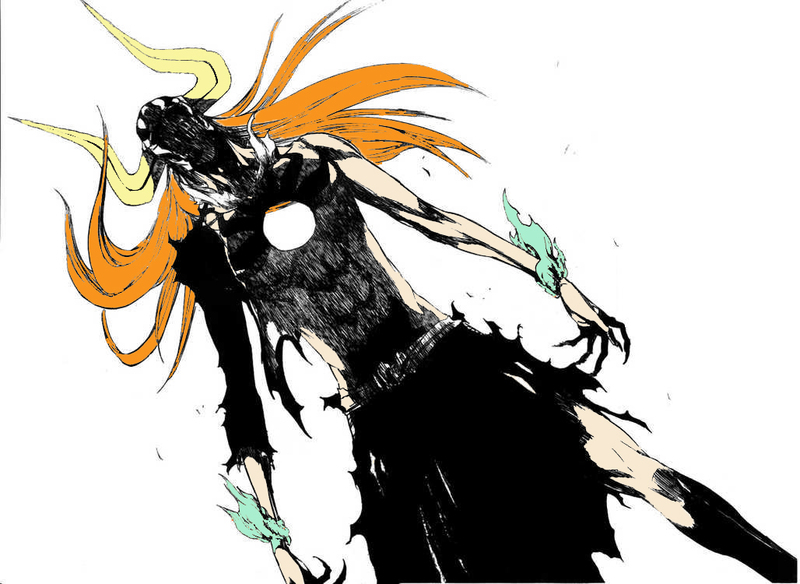 At this point Bann has completely changed into his Bankai form. When in this form Bann moves even faster and is stronger than when he releases his Zanpakuto. His Sword turns into a steel great sword over 8 foot long with electricity and fire sparking up and down the blade. As the blade strikes in the air a blade of lightning and fire comes from the blade itself the size of 12 foot tall and 4 foot wide. The strike travels for about 30 feet and anything inside its path is destroyed instantly it has a blast radius of 20 feet on impact. Even though the blade is over sized Bann moves it very quickly and can block and attack from close range with them, but is not as Overpowered at close range. He uses his speed to attack from range most of the time but when in close combat he will use his strength to combat them. Unique Ability: When Ban activates this mask he is able to enhance his movement speed, strength. Bann has the ability to resist mostly any wound as a pain reducer, he was given increased regeneration and the ability to fight and hit harder than any other person. Since he is able to increase its muscular size by at least 2-3 times bigger and tougher than what it used to be he has become a very strong individual person and a very powerful Vizard. Hollow Mask Appearance: Its a white base mask with slightly large ears the outer side of the ear is black to make it look like a shadow. Although the eye holes are slightly small they are red tipped eye lenses the top and bottom, each part has a red line to say they are very easy to see out of for Ban has worn this mask a long time. 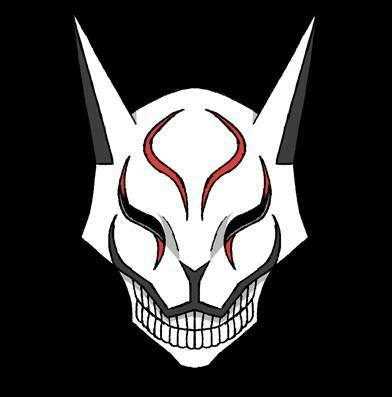 At the front of the mask there is a smile it has a slightly evil grin to it it's look is as it is visible a fox demon. At the nose ridge and just above the smile there is a black lining going all the way to the under eye's. Description: This is one of Bann’s most favourite Kido it allows him to take the soul of a hollow and eat it to gain more power it can also kill a human in an instant a Shinigami has a chance to survive this Kido if they are not within 100 meters of Bann. Description: Summons forth a bullet from the sky similar to a star striking a large object it is smaller than a meteor but is about 29 meters in and entire circle it can kill almost right away if the hit is direct. Description: This is not called Rain of Heaven for nothing when Bann shoots pure Reitsu into the sky many large shining objects come down from the sky and land above the opponents head they are beams of holy energy they have the tendency to disintegrated anything they touch if it is an Hollow they and instantly disintegrated on contact if they do not move. 1. Restrain (塞, sai?) — Locks a target's arms in place behind their back. 4. Crawling Rope (這縄, hainawa?) — An energy rope entangles a target's arms. black dog of Rondanini! 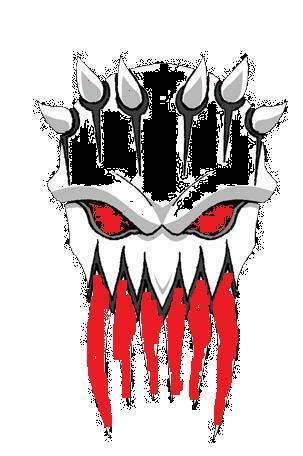 Look upon yourself with horror and then claw out your own throat!" 30. Beak-Stab Triple-Flash (嘴突三閃, shitotsusansen?) — After using kido energy to draw out an equilateral triangle, the targets' arms and waist are pinned down and rendered immobile. 39. Arc Shield (円閘扇, enkosen?) — Summons a shield of energy to block opponents' attacks. 58. Summoning of the Tracking Sparrows (摑趾追雀, kakushitsuijaku?) — Tracks and locates any spiritual force the user focuses on. To activate it, the user must draw a circle on the ground, cut into four parts with a specific character in each. The incantation animates the circle, causing various numbers to appear within until the specific set is found. The number set seems to be a variation on longitude and latitude. "Heart of the south, eye of the north, finger of the west, foot of the east, arrive with the wind and depart with the rain." 61. Six Rods Prison of Light (六杖光牢, rikujōkōrō?) — Summons six thin, but wide, beams of light that slam into a target's midsection, holding them in place. Referred to as "Six Rod Light Restraint" in the English manga and "Six Bars of Light" in some of the games. "Carriage of Thunder. Bridge of a spinning wheel. With light, divide this into six!" 62. Hundred Stepped Rails (百歩欄干, hyapporankan?) — A rod formed of energy is thrown towards the target before it disintegrates into numerous short rods which are used to pin the target to the surroundings and render them immobile. 63. Winding Binding Chain (鎖条鎖縛, sajō sabaku?) — The target is wrapped from the neck down in a thick chain. 75. Quintet of 1 kan Iron Pillars (五柱鉄貫, gochūtekkan?) — Summons five incredibly tall and thick pillars to pin a target to the ground. 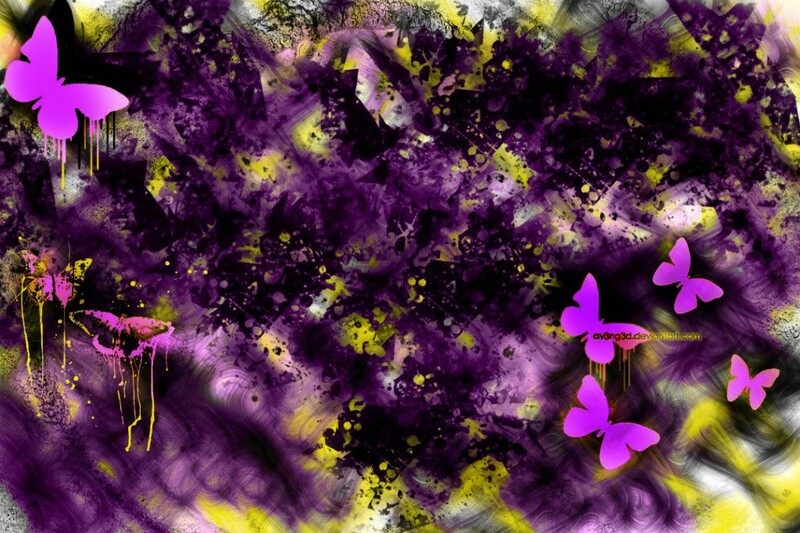 "Walls of ironsand, a priestly pagoda, glowing ironclad fireflies. Standing upright, silent to the end." 77. Heavenly Rickshaws in Silken Air (天挺空羅, tenteikūra?) — Transmits messages to anyone within a specific area. In addition to reciting the spell, the user must draw specific markings on their arms, which are animated by the spell to convey the messages. "Black and white net. Twenty-two bridges, sixty-six crowns and belts. Footprints, distant thunder, sharp peak, engulfing land, hidden in the night, sea of clouds, blue line. Form a circle and fly though the heavens." 81. Splitting Void (斷空, dankū?) — Creates an energy barrier in the form of a rectangular wall. According to Byakuya, it is capable of stopping destructive spells up to #89. 99. Part 1. Restrict (禁, kin?) — Binds the arms of a target with spiritual fabric and iron shafts. First Song: Halting Fabric (初曲・止繃, shokyoku: shiryū?) covers a target from head to toe with a binding cloth. Second Song: Hundred Linked Bolts (弐曲・百連閂, nikyoku: hyakurensan?) stabs the target with numerous thick needles. 1. Thrust (衝, shō?) — Pushes the target away from the caster. 4. White Lightning (白雷, byakurai?) — Fires a concentrated bolt of white lightning from the caster's forefinger. 31. Shot of Red Fire (赤火砲, shakkahō?, Red Flame Cannon in the English dub) — Fires a ball of red fire at a target. "Ye lord! Mask of blood and flesh, all creation, flutter of wings, ye who bears the name of Man! Inferno and pandemonium, the sea barrier surges, march on to the south!" 33. Blue Fire, Crash Down (蒼火墜, sōkatsui?, Pale Fire Crash in the English dub) — Fires a column of blue fire at a target in a similar manner to 31, but over a wider area and with more power. "Ye lord! Mask of flesh and bone, flutter of wings, ye who bears the name of Man! Truth and temperance, upon this sinless wall of dreams unleash but slightly the wrath of your claws." 54. Abolishing Flames (廃炎, haien?) — Fires a blast of purple fire that will incinerate a target completely when it makes contact. 58. Whirling Tempest (闐嵐, tenran?) — A widening tornado-like blast is fired towards the target. 63. Thunder Roar Cannon (雷吼炮, raikōhō?) — Fires a massive wave of yellow lightning at a target. "Sprinkled on the bones of the beast! Sharp tower, red crystal, steel ring. Move and become the wind, stop and become the calm. The sound of warring spears fills the empty castle!" 73. Twin Lotus Blue Fire, Crash Down (双蓮蒼火墜, sōren sōkatsui?) — Essentially a doubled version of #33, this spell fires two shots of blue fire with greater potency than the single-shot variety. "Ye lord! Mask of blood and flesh, all creation, flutter of wings, ye who bears the name of Man! On the wall of blue flame, inscribe a twin lotus. In the abyss of conflagration, wait at the far heavens." 88. Flying Dragon Striking, Heaven-Shaking, Lightning Cannon (飛竜撃賊震天雷砲, hiryūgekizokushintenraihō?) — Fires a massive blast of spiritual energy in a fashion similar to a laser. 90. Black Coffin (黒棺, kurohitsugi?) — Forms a box of black energy around a target, which is then pierced by dozens of energy "spears", lacerating the one inside from head to toe. Aizen notes that the spell only reached a third of its destructive potential the one time he uses it, indicating that the spell would be far more damaging at full power. Its appearance and function is reminiscent of a common magician's trick, as well as certain torture devices used during the Spanish Inquisition. These spells are not explicitly stated to be in one category or the other. White Crawl (白伏, hakufuku?) — Although not seen actually using it, Momo Hinamori apparently uses this spell while imprisoned to knock out a guard and destroy everything within a certain radius of herself. The anime suggests that it is a binding spell, but doesn't number it. Mirror Door (鏡門, kyōmon?) 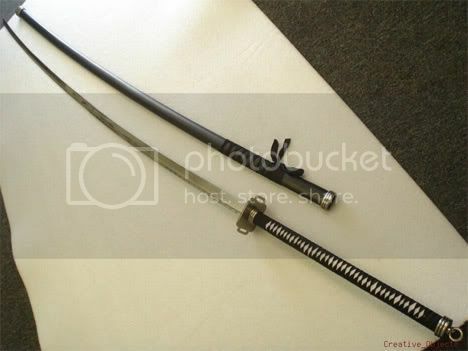 — Tōshirō Hitsugaya used this to seal Momo Hinamori's hospital room. It creates a glass-like barrier which is difficult to break from the outside, but quite simple to break from the inside. Bann is rarely known by anyone apart from his mother who he lives with currently. Bann's past was terrible while passing through all the troubles when he crossed into the world of the hollows. Bann became a Vizard he was very scared at first of his new power that had arisen within him. His side of pure evil and destruction set free to live and walk around using his body as a host to destroy the lives of humans. At the time of the crossing he was out training his fighting style and practicing his Kido when he was crossed over. When Bann first became a Shinigami he was attacked by a Hollow and was given his powers by another Shinigami to gain his powers. Bann's first Zanpakuto was a very long and fine katana capable of cutting right through the Hollow, Bann sliced down cleaving the Hollow in half saving a very young girl she was very young she seemed to be about 11 years of age. Bann sent her home and made sure she made it, she seemed frightened but she was safe now, the body of the hollow dispersed and vanished into nothingness, his weapon a huge Katana but when released it looks like a massive meat cleaver he gained the knowledge of how to use it by focusing all the power he had and figuring out its release prase. Becoming a Vizard was a very horrible thing at the time and age he was his soul passed through the hollow world, which in turn gave him the ability to become a vizard. Bann fought his inner hollow to become a Vizard he fought for many hours it seemed to him but yet it was barely any time in the other realm. Bann's inner hollow was an exact copy of him only pure evil, Bann fought for ages it seemed, his inner hollow was a very power demon it was extremely strong. The fight lasted several, several hours Bann was becoming very tired but he knew if he lost to his inner hollow he would become a hollow. Bann tried to fight harder and pushed himself to his very limits, Bann was only just able to defeat his inner hollow, he broke the hollows mask and became one with his Inner Hollows power being able to take command of it when ever he wanted to. In doing this he was exiled from the Soul Society for becoming a Vizard and now he lives with his mother travelling around the realm by himself. Awhile after this Bann activated his mask for his true first time, he was amazed at the power he was given by being able to control his inner hollows power, he found it easier to kill other hollows and take from them their soul with his Phantasmal Killer Kido. 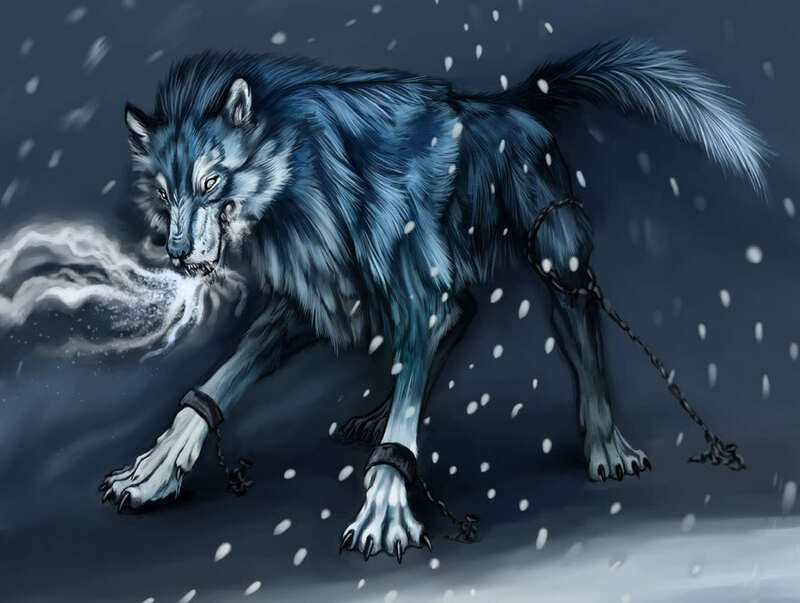 Eating their soul and becoming stronger he protected the weak and innocent from the hollows but yet still fought for what he wanted which was freedom to live and fight against the evil forces. Although portrayed as an evil person Bann is a very kind spirited guy, he isnt one for violence much unless provoked. If he becomes provoked Bann can become a mindless drone of killing and insanity due to the power hungry evil Hollow inside of him. Bann allows it to take over his body and constantly kill off anyone standing in his way he kills for the reasons he sees fit not when others see fit to kill he still fights for the innocent people.